It has been billed by many as the ultimate single-day running challenge, bar none. Yours truly couldn’t agree more after a firsthand humbling experience of running the 89km Comrades Marathon last Sunday. You have got to reach far and wide to find a race that can provide such a spectacle of the invincible power of the human spirit. In preparation for the race, I had put in the hard yards once I comfortably completed a 60KM up and down run of the infamous fluorspar run, four weeks out to race day. However, nothing can prepare you well enough for a 90km run and as D-day approached, there was some sense of apprehension of perhaps being too ambitious in entering this race in the backdrop of my maiden ultra-marathon (Two Oceans Marathon), barely 2 months earlier. 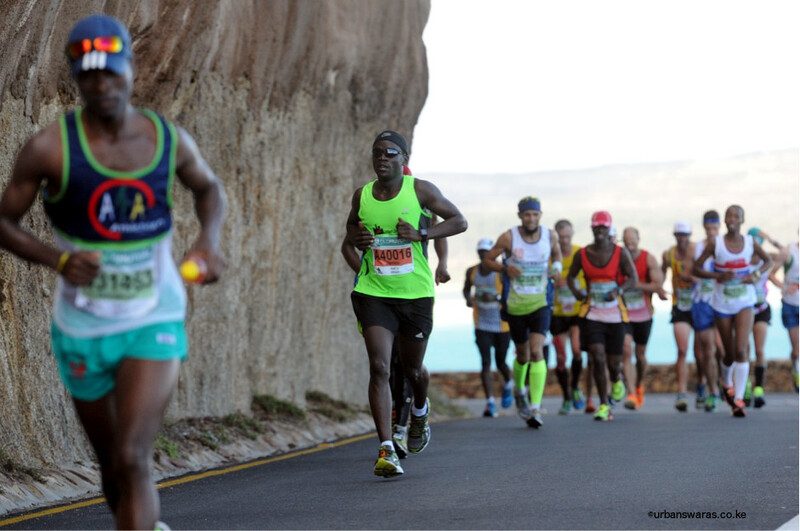 Being a rookie in ultra-marathons, I had only a smidgen of imagination of what it takes to run ultra-marathons in succession and my game plan was simple; why not use Two Oceans as a dress rehearsal for Comrades? Without having bathed fully in the glorious glow of my maiden ultra-marathon, here was I ready to do battle once again, throwing running armchair pundits caution to the wind that the two ultra-races are just too close to each other to be ran back to back. 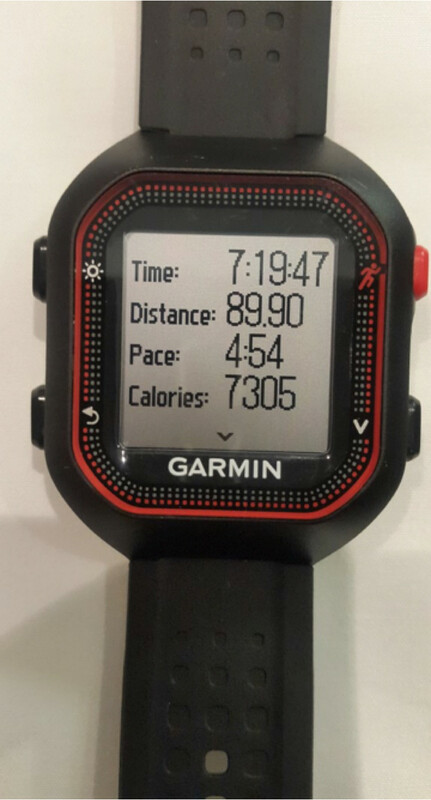 It comes with the territory that one will need to log in respectable mileage to run a good ultra-marathon and to me it made a lot of sense to take advantage of the training hours already logged in for Two Oceans, in training for Comrades even at the risk of getting an injury. In my world, one must throw oneself against all odds and face adversity head-on to discover one’s real limits. And here, I couldn’t have it any other way; I was raring to go and to leave the chips to fall where they may. The buzz surrounding the race is palpable the moment you land in Joburg and you are bound to meet plenty of runners from all walks of life on the connecting flight to Durban. It has never been easier to strike a conversation with a stranger sitting next to you in a plane because on this flight, everyone seems to be a “Comrade”. “Maiden Comrades?” My seatmate breaks the ice with a mile-long smile. Clearly, the excitement must be written all over my face. 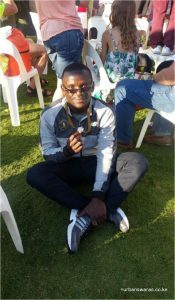 “My first tour of Durban,” I respond before my new found comrade goes waxing lyrical about Comrades Marathon lore in a heavy Mzansi accent that puts me into stitches. 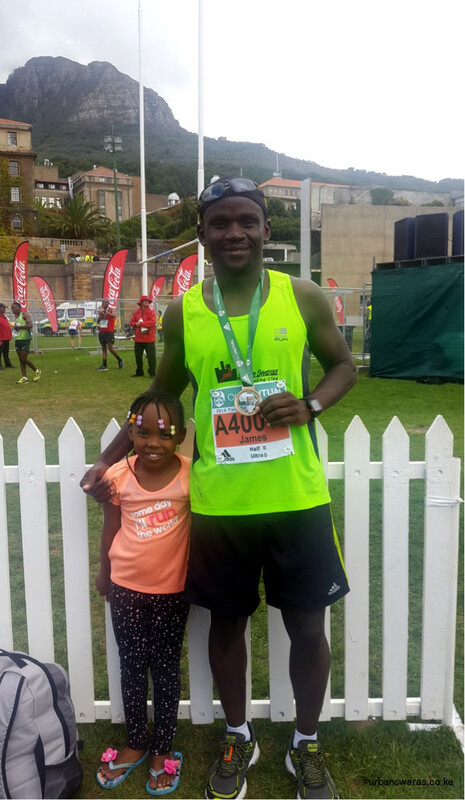 A veteran Comrades runner, Xolisa was heading back to Durban not as a runner, but as part of the support crew for his running club, commonly referred to as “seconding” in Comrades parlance. The good vibe on the flight makes the one hour flight to Durban somehow feel shorter and we land in Durban King Shaka Airport before I could even correctly pronounce the name of my new buddy. Apparently, you have to be real good in clicking to crack classic Xhosa names featuring a C, Q or an X. It just happens that a good number of us on the flight are staying in the same hotel, and a bond has already been established as we hop into a shuttle to take us to our hotel along the Durban coastline. I check into my room already in a feel-good mood looking forward to the epic weekend ahead. You have to give it up to Mzansi folks regarding the passion they put in their sporting events, be it running, rugby, soccer or cricket. The Comrades Expo is in itself one big party that almost grinds Durban city to a halt. All the world renowned sporting brands are in town for a big harvest because it doesn’t get bigger than Comrades when you think ultra-marathons in the whole world. Despite the biting early morning cold, the pre-dawn start line is a gripping display of its own kind and you know you are going to be part of something special when the locals set the stage by belting out a spine-tingling rendition of the famous Shosholoza song. This song gets me into a trance, evoking some good memories of my recent adventure in Cape Town and is my cue to switch into beast mode for the daunting task that lay ahead. Seeded in corral A, I find myself standing behind the elite runners with the start line just about 20 metres in front, a good reminder of how far I have come as a runner. The mood here is very edgy as we wait for the countdown to begin. “Congratulations, you are almost there,” quips a fit old man next to me with an amazing 19 Comrades under his belt (written on his running bib). I smile back at him surprised at his banter. Just before the gun goes off, it dawns on me that indeed the old man is right. Having covered over 2,000km in training for this race in the last 6 months, the real hard work had been done; I might as well try and enjoy the small bit standing on my way to glory, I figure as I press the start button on my Garmin watch. I had done a good recon of the course and knew there were lots of climbs for the first 30km which I manage to cover on “manual mode” alternating between 4.45 and 4.50 min/km conservative pace. The next 15km stretch happen to be more kind to the legs and I switch to “Autopilot mode” keeping the pace consistent at 4.45 min/km until I hit the foot of the famous Botha’s hill, 45km into the race. Here, one has to dig real deep for the 5km killer climb. I embrace the challenge by holding back a bit on the climb but keep it strong afterwards and bingo, the first 60km are bagged without much drama except for mild cramps. At this point, I reckon that I am in a new territory having breached the furthest distance I have ever run. The fear of the unknown makes me engage low gear taking a more conservative pace, once again. 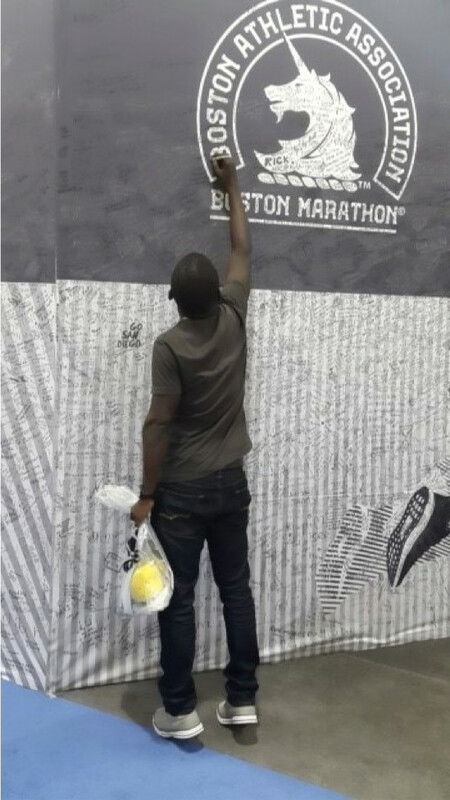 A unique feature of the Comrades Marathon is that the split markers show the remaining distance rather than what you have covered, which I find very discouraging if you buy the line of thought that a glass is half full rather than half empty. And it’s around the 25km marker that the race starts claiming its casualties but guess who comes to my rescue! From a distance, I hear people shouting my name and as I approach a tent on a road shoulder ahead, I am really glad to see Xolisa among the wildly cheering fans. There is a carnivore atmosphere at this “pit stop” with an enticing brai (nyama choma) and other niceties all laid out for Xolisa’s club runners to dig in before embarking on the most difficult stretch of the race. Mtukudzi’s Todii is playing in the background and I had to gather all my wits to ignore the party here. After grabbing some gels and whacking some high fives with Xolisa and crew, my tired legs get a new spring and I pick up my pace. Just like in Two Oceans Marathon, Comrades Marathon awards different finisher’s medals depending on your finishing time. As I hit the 10km marker, I am still within the Silver medal bracket which means finishing the race sub 7hrs 30min. At this point, I reminisce a bit of how far I have come as an amateur runner and try to recall the last time I ran a distance of less than 10km. It must have been during last year’s Naivasha Relay. I reckon that there is no way I was going to allow the remaining 10km to pee on my parade and I trudge on with determination anew. Giving the best I could eke out of my now heavy legs, I enter Durban to an arousing welcome with hundreds of cheering supporters lining both sides of the road. I recall a famous Comrades coach citing this to be the romantic moment of Comrades Marathon. The moment you realize that you are going to make it, even if it means crawling to the finish line. 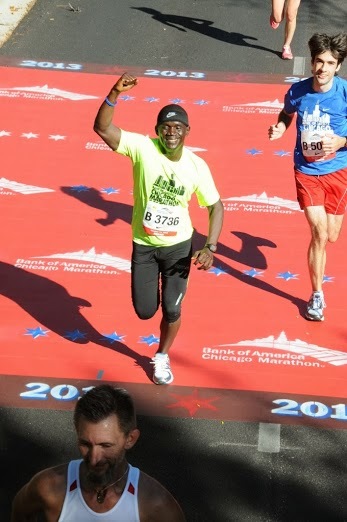 As I seize the moment and take it all in, my legs suddenly freshen up a bit and I can afford a smile as I sprint the home stretch crossing the finish line in 7.20.33, gun time. The finish line is another marvel to behold. Rarely have I seen strangers getting bonded together in such an uplifting manner. I fall down on my knees in humble submission after getting a bear hug from a runner who finished behind me. As I walk over to receive my medal, I imagine myself being on an Olympic medal award podium. At that moment, it mattered not whether the Kenya national anthem was going to play after or not; I feel like an Olympic champion as a lady with a big smile puts a medal over my neck. “Proud of you champ! “ She quips as if reading my mind. The support given to runners on this race is simply peerless. There is a real party going down on the 90km road stretch for an entire 12 hours. Imagine having a street party from Nairobi to Naivasha from 5am in the morning till late into the night. That’s right, that’s exactly what Comrades will offer you with all manner of music bands, Dj’s, roadside family barbecues and cheering squads outdoing each other along almost the entire course, but for a few highway sections. Try as I may, it remains a tall order to put in words the actual feeling one gets after completing this ultra-marathon. Simply put, it’s going to humble you. 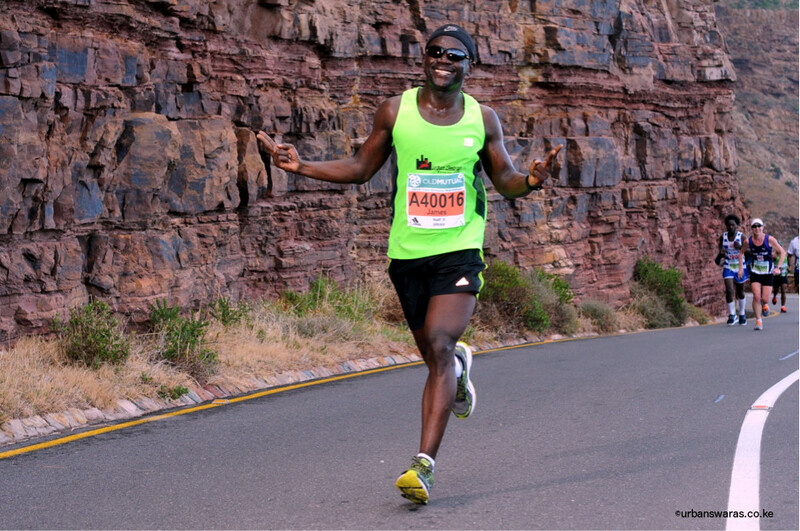 Above all, what makes Comrades Marathon special comes from the way the rainbow nation has come to embrace the event with the buzz and camaraderie around it likely to leave a lasting impression on many a runner. So much that more often than not, runners who have finished Comrades before are likely to attempt it again, despite the immense challenge it offers. And here I was, thinking there was no more motivation and joy left in me in road running! 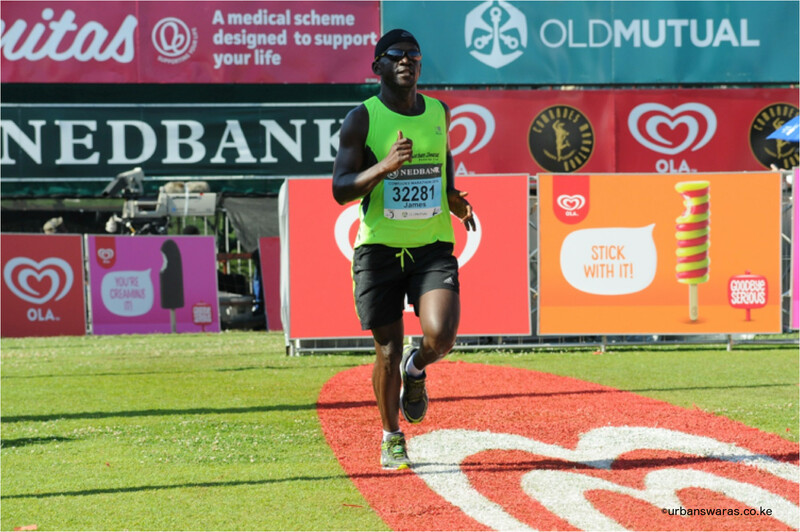 I got wet eyes watching a lady getting cramps about 50 metres to the finish line and unable to move any further as the countdown of the 12 hours cut-off time echoed inside the Kingsmead stadium. 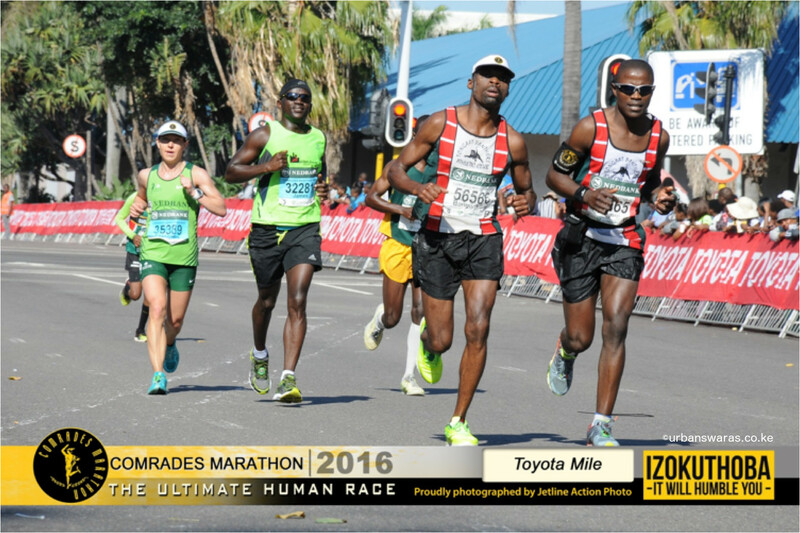 For me, the real heroes of any marathon race and specifically Comrades Marathon are the runners coming at the tail end of the race. Imagine running for more than 12 hours and still missing out on that coveted medal! But such experience is what defines Comrades as the ultimate human race. Make no mistake, this race is plain brutal and it’s going to hurt pretty bad before one crosses its finish line, your talent and training notwithstanding. One has to nail running tactics for an entire 89km, a distance that accommodates so many variables that some are bound to go wrong on any given day. The race will test your mettle like nothing you have experienced before, regardless of neither your preparedness nor type of medal you are chasing after. But as one Mitch rightly penned a while ago, hard is what makes it great and the satisfaction one gets on completing this race is a real gem. 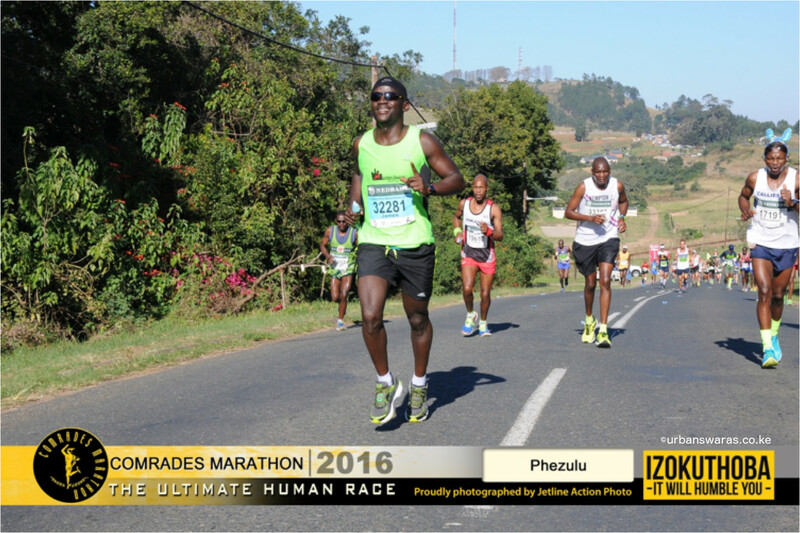 It has often been said that people change fundamentally after running the Comrades Marathon. 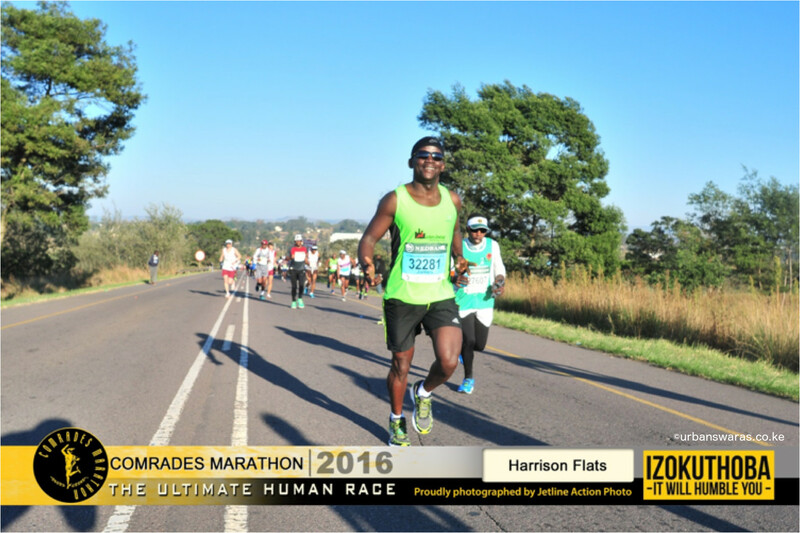 I am inclined to agree as besides forming a special bond with total strangers, there is surreal self-actualization that Comrades Marathon brings which I will forever treasure in my walk of life. Bamba Iqhaza! -Be part of it! It’s a rare occasion for me to be speechless after an international running event but yes, the Two Oceans Marathon that went down last Saturday in the “Mother City” left me speechless! 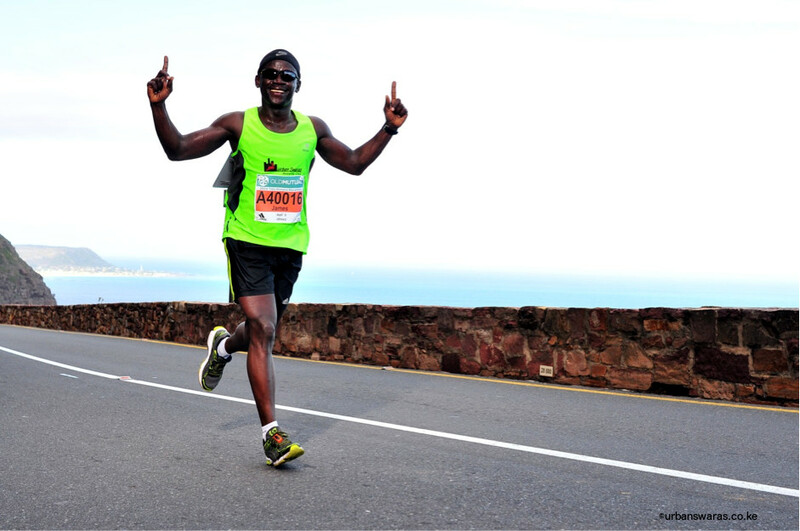 I have been privileged to participate in a good number of running events around the world and truth be told, I don’t think there is any sugarcoating in saying that Two Oceans Ultra Marathon is the world’s most beautiful marathon. From the jaw-dropping beauty of the course, the world class event organization, near perfect weather condition, to the amazing support all through the 56km stretch, it took me time for it to finally sink in that I am still in Africa over the race weekend. I got goose bumps standing at the start line at dawn and hearing locals sing their national anthem and the famous South African traditional solidarity song (Shosholoza) before the start. What a euphoric way to start a marathon and it is right there that the Mzansi magic hits you and one cannot help but admire the beauty that is the rainbow nation. Never before have I enjoyed running uphill like I did on the first major hill on the course; the famous Chapman’s Peak. Sandwiched between the alluring ocean beauty and the mountain precipice, I was literally dancing up the hill to the delight of a sub 4.20 “bus” running behind me. Similar invincibility experience unfolded on the Constantia Nek, the last major hill coming after the full marathon mark. Here, on one of the steep stretches, I was all smiles when a burly and heavily bearded guy wearing only briefs and with good resemblance to Zach (the one of the hangover movie), literally refused runners to walk on his home turf and wildly cheered and escorted runners up the stretch. What a motivation! The icing on the cake was me sprinting the last 6km of the race at a 4.1 min/km pace, taking on a challenge from a random stranger and finishing the race with some gas to spare in the tank with a time of 4.16.01, according to my Garmin watch. It’s always a thrill sprinting the home stretch of a long distance race. Folks, everything just came together in this race for me. Besides uninterrupted training for the event, I was getting myself into uncharted territory this time round and there was no pressure on me but to finish the race in a decent time. My pace actually felt too conservative towards the end and I knew I will be back to race again this beautiful course on a higher gear even before I finished the race. In terms of preparation, two long runs beyond the marathon distance got me more than ready for the assignment. One was a 48km run in Tigoni but I guess it was the Fluorspar run that once again did the magic for me. As guys headed to Kilimanjaro four weeks out to race day, I did my last long run in Kerio Valley running 53km up the escarpment solo, with the support of a hired motorbike guy carrying my supplies. Small wonder then that Chapman’s Peak and Constantia Nek had nothing on me but a breeze. Some day she will run the world! The only downside of an amazing weekend was that for some strange reason, my running chip stopped capturing my movement at the 50km mark and I was not able to get my official provisional finishing results after crossing the tape. However, after launching a formal query, the event organizers promised to sort the matter later on and update my results on their website. This happened to be a record entry by Swara’s to the event with everyone finishing the race within the cut-off time of 7 hours. It promises to be even bigger next year with almost every Swara participant already looking forward for a return next year. As for me, the race for the Blue Number Club membership has just began but first things first…..Comrades Power! Ahem! Officer on deck! As you were…. I have always admired the brave men and women in uniforms. But for my dad’s objection, I came so close to joining the air force while still a young lad. How pleasing then to acquire a new nickname; “Major” from my peeps after finally completing the six races of the World Marathon Majors in Boston. 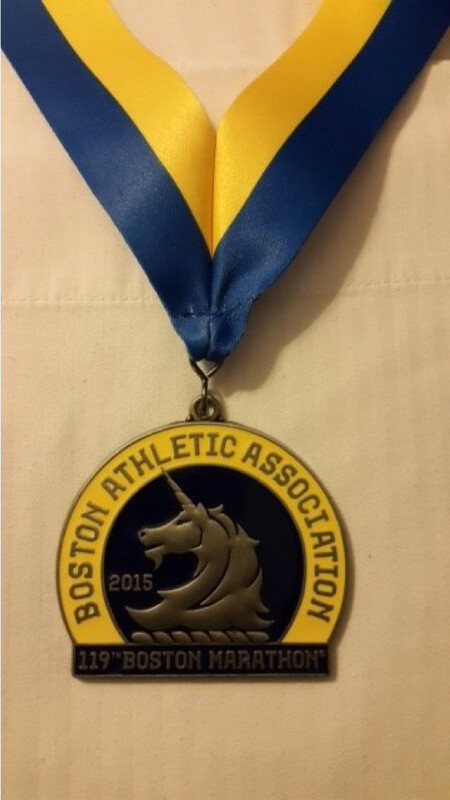 Boston was a very emotional run for me being my last race of the Majors series. The experience was literally the same as sitting for the final paper in high school. Indeed there is only one Boston and despite the awful weather conditions, I pulled out all the stops to make a big exit, crossing the finish line in Boylston Street in 02.49.33. 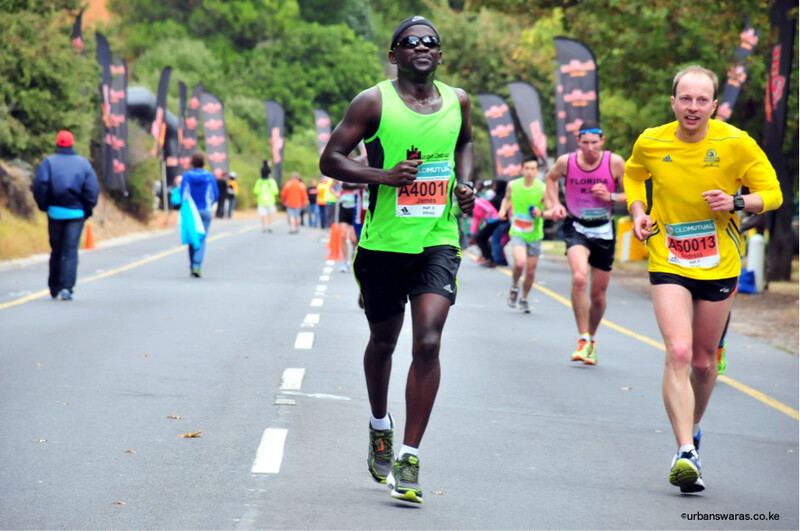 The cold, windy and wet weather did not dampen the spirit of simply experiencing the much touted bliss of running the world’s oldest road race and arguably the most prestigious marathon. And indeed the experience lived up to its billing with the camaraderie and fanfare along the course comparable to none, despite the skies opening up pretty much the whole race. Boston city literally comes to standstill over the marathon weekend with the marathon being the party of the year for the beautiful city with a rich history. The highlight of the race has to be passing by Wellesley College around 20km into the race where one is met with deafening cheers from the college girls. It is a breath-taking experience like no other. It’s exactly 18 months since I began this journey basically doing an average of one major race every 3 months. I am still pinching myself for assurance that this is real. Some might be wondering how an average bloke like me can accomplish such a feat, but trust me it all started from very humble beginnings. As a matter of fact, it all started right after running my first full marathon in Lewa about 3 years ago which truth be told, was neither by design nor desire. Not to be left behind for a road trip I had paid for, I ended up signing up for a full marathon unprepared after missing out a slot in Tito’s DHL half marathon team. My marathon debut is a story for another day though a defining moment of my running exploits. It basically taught me something new about the human will and that one can get pure pleasure out of sheer pain. That experience in Lewa made me become audacious and it was not long before I signed up for Paris Marathon which became a game changer in my young running life. From Paris with love, I had tasted the famous runner’s high courtesy of a sublime international race and as runners like to say, the running bug had bitten too deep. It is then that I threw down the gauntlet and made running all the 6 World Marathon Major races within 2 years, an item on my bucket list. Though in the beginning a tall order, this ambitious target was the only way I could motivate myself to making running a lifestyle which by any stretch of imagination, requires some investment and sacrifice. From this high pedestal, failure was not an option. I sort of remember eavesdropping Ajaa talking about Toby and his connection with the New York City Marathon way back in early 2013. I then intimated Ajaa how I was gonna try and enter that year’s NYC marathon of which he was quick to dismiss because at that time, I was merely an average runner, hardly out of my running diapers with the Swaras. It was right there that Saturday morning at Maanzoni lodge that I became resolute and decided it would be my core business to find a way of gaining entry into at least one of the major races that year. 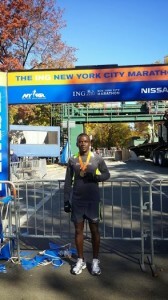 The rest as the say is history, with each of my major races well captured as running tales in the Urban Swaras website. I know one will be tempted to ask which among the 6 races was a favorite. 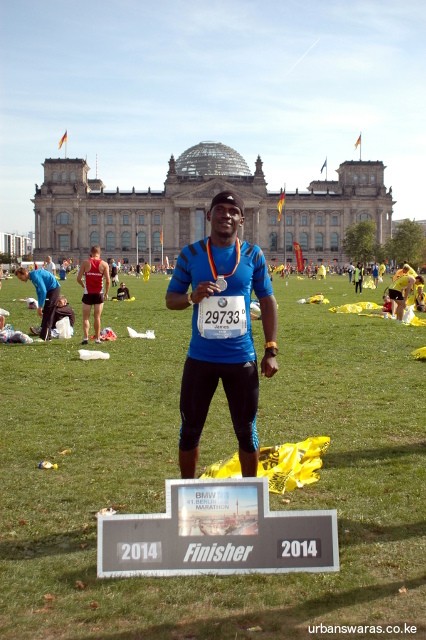 Well, each offered quite a different experience all together but although not my personal best, hats off to Berlin marathon. This is where I first ran under 3 hours, a big milestone by any standards to any recreational runner. The training preparation that came before this feat in Berlin was so insane and being there to witness the making of a new world record was simply priceless, just blew me away. Special acknowledgement goes out to my immediate family. It’s hard to believe we did it! I wouldn’t have wanted to share the ride with anyone else. Thank you for taking my running selfishness in stride. I also take this opportunity to thank the entire Swara fraternity for the great support accorded to me during this journey. Special appreciation goes to Ajaa and by extension the entire CRE, for all those inspiring trails that made me fall in love with running. Otora for pushing me during the runs from day one and going an extra mile to ensure extra miles were available for me when needed. MK for throwing the sub 3hour challenge to me and continuous words of encouragement and motivation. Tata for being a role model and the priceless advice on becoming a better runner and avoiding injuries. And last but not least, the 3 “musketeers” of our able MCs Jael, Lucy and Sue for unwavering support and occasional light moments that reminded me that running need not be too serious an affair. Through this journey, I became a better person in many ways. 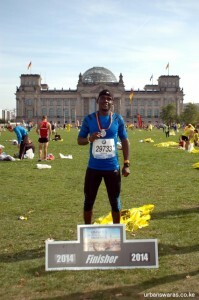 Through these races, I became a world citizen, met a lot of good people and made friends all over these amazing cities. Through the journey, I discovered that the world is indeed beautiful. From right at home in our backyard, I travelled to places I could only dream of and realized that running need not be homework, but can indeed be leisure. Little wonder then that I feel so alive in my thirties more than I ever felt in my youthful 20’s! Well, as I wait out my 6 Star World Marathon Majors Finisher Certificate, it’s tempting to ask what next? Well, move over marathons. It’s now time to go long and easy. To the Ultra Marathon major-generals (Sean, Mitch, Ajaa, et al), Ahem! Officer reporting for duty, awaiting my orders, Sir! It was bound to happen, but never thought it would be this soon. That rare occasion when the stars align and the gods smile down on you. That was Tokyo for me. Though I tried to maintain my training intensity over the laid-back festive period after my last major race in Berlin, the odds were stacked against a new personal best considering the slow course that is Tokyo marathon, in addition to the rightly predicted lousy weather on D-day. It was therefore a pleasant surprise coming home in an official time of 02.48.09 after running the concrete jungle that is Tokyo city that chilly and wet morning. I am still glowing from the experience of running a marathon at a sub 4min per km pace (3.59), which was a real thriller for lack of a better word. The marathon course itself is quite unique with the route taking the form of a squiggly plus sign when viewed from an aerial perspective. It involves two 180-degree-turns where if you are running a sub 3 hour marathon pace, you are bound to meet the elite runners coming from the opposite direction twice. I got a jab of adrenaline from shouting Dickson Chumba’s name as the leading pack of elites breezed by me twice during the race. Up close, the pace of elite runners is simply electrifying and a sight to watch! No doubt, the Japanese must be the coolest people on earth and this was palpable right after landing at Haneda airport in Tokyo to quite a warm reception for a mere bloke like me. With their gentle demeanor of bowing (O-jigi), politeness takes a new definition, almost to an annoying level. This general congeniality of the Japanese easily rubs on you and perhaps the magic behind my good race in Tokyo despite the odds. 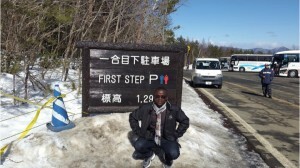 It is for this reason that I had to go and pay my respects to the Japanese people on the beautiful and graceful Mount Fuji, Japan’s sacred mountain and international symbol. Among the highlights of my trip was staying in the same hotel with the elite runners, a stone throw away from the marathon start point. 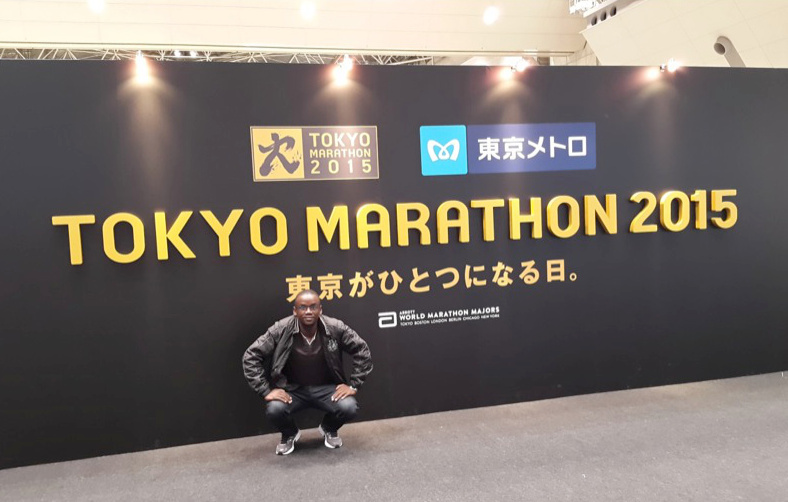 With almost no African runners but for the elites, I got VIP treatment my whole stay in Tokyo for simply identifying with the champions from East Africa. It was a real treat hanging out with the Kenyan and Ethiopian rivals, who stayed together the entire trip until we parted ways in Dubai on the return flight. Meeting sports journalist Elias Makori who was staying in the same hotel was the icing on the cake. Makori was great company who I found out has a deep network in the athletics world, now fully based in the home of champions in Eldoret. No doubt, he is someone with lots of potential for marketing our good old running club. Folks, enough said for now as I turn into the homestretch of my Safari that began about 15 months ago in Chicago. Swaras, your support has been overwhelming all through this journey and to that I am deeply grateful. Bloody hell, Boston beckons too soon! Folks, it had to be Berlin. After all, this is where world records are broken and as one went down on the very day, how fitting that I also outdid myself cruising home at an official time of 2.56.43, a personal best. 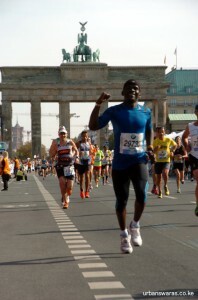 Guys’, running a sub 3hrs marathon is the pinnacle of running achievement for most recreational runners and one would be hard pressed to find a more grandiose road race than Berlin to accomplish such a feat. For folks like me with no natural talent or gait for running, a sub 3hrs marathon is really hard to accomplish, the holy grail of amateur running if you like. One has to be dedicated to a pretty all-encompassing training plan, literally training with same dedication as Wilson kipsang, but aside from the number 2 leading off your result time, there is no reward in waiting and yours is only a personal vendetta against the clock. To give you a rough idea why joining this club isn’t easy, only about 2% of runners who toe a marathon starting line will break 3 hours. Folks let me emphasize, running a marathon is hard. Doing it in less than 3 hours is really hard and I mean freaking hard! My training involved an average of 115km per week and for an 8-5 employee like me; this meant that I had to run twice a day twice a week in order to log in at least 100km a week. I did progressive mileage build-up, plenty of running at a race pace of 4.1min per km and hill workouts every week. I Slept a lot more, ate my vegetables and my most difficult sacrifice was avoiding alcohol for 12 weeks! After 9 weeks of hard training, I went to Mwea to test my speed which also marked the beginning of my taper to the big race. An effortless 1hr 22min in Mwea half marathon gave me all the confidence that I was ready to attack the ambitious 3hr mark. And so after 12 weeks of training madness, I am so delighted that a sub 3hr marathon is in the bag. For that I am deeply grateful to Urban Swaras for the overwhelming support given through the whole journey. Indeed what happens in a race is not about what happens on the race day but what has gone before. Let’s face it, without the long weekend runs that I enjoy running with the Swa ras, it’s unlikely that a fellow like me would even run and finish a marathon. 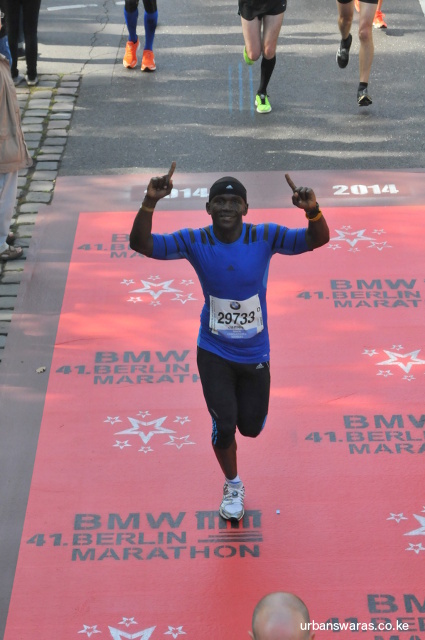 Berlin was a smooth ride and never before have I finished a marathon so comfortable with even energy to spare. They highlight of my trip was hanging out with the new world record holder at the marathon after-party. Of course Kimetto instantly became a demigod after crossing the finish line and just getting close to him was always going to be a tall order. But for once, my very dark skin tone counted for something in Europe as I got an entry into the VIP deck by simply telling the bouncer that Dennis is my young bro! And so as I sit down in my hotel room to finally pen down my Berlin experience, it gets a bit nostalgic thinking of where I have come from as a runner. 3 years ago I weighed 118kg and if you had asked me then to run a half a marathon, I would probably have said you must be out of your mind. Then I met Tito and Jael who introduced me to running. It’s tempting to say the rest is history and fast-forward to the Waliaula you now know. But the tipping point into my modest running accomplishments and more importantly a healthy lifestyle (now 72kg) was joining the Swaras. As I look back down memory lane, I remember the simple days hanging out with Swaras; like Fran reminding me of the shuffle dance under the beautiful night skies of Lewa, watching Jael and Sue outdoing each other with Kanungo in the wilderness of Lewa or having a good laugh over a glass of wine with Wahome and Tata on the slopes of Kerio valley. Folks, these are the real days of my running life! And as I sign out to catch my flight, you might be wondering what next for me? I guess my fast running days are now behind me now but eyes are still on the price with two more majors to go. The government is running east and who am I not to. Tokyo is calling……….. In many ways, this was one hell of a weekend that no doubt lived out the hype that goes with the London Marathon. Let’s start from the beginning. On what would have been my last taper run before boarding the plane to London, I sprained my ankle pretty bad about 100m from my doorstep. All I could think as I limped off to my humble aboard was that Jael must have passed her bad omen to me and indeed bad things happen to good people! With almost a perfect preparation, I was so gutted to get an injury last minute. 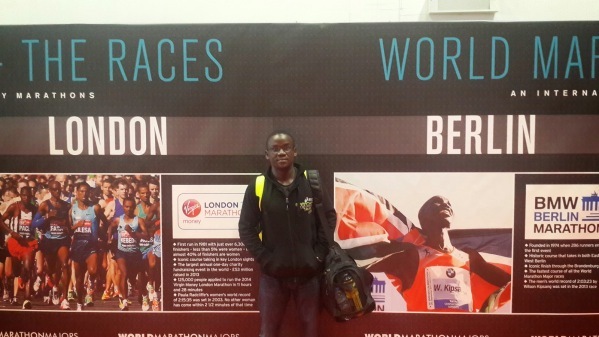 To run or not was a big dilemma which later got sorted out when I realized that my cheap plane ticket was not refundable and a weekend in London was better than engulfing myself in Nairobi with self-pity. A last minute dash to Kariakim’s got Collins to re-align my ankle back into position and the possibility of hooking up with Kim in London for a last-ditch effort to review my injury, gave me some much needed confidence to board the plane to London. The marathon exhibition did not disappoint and in seeking Kariakim’s services sans frontières, I got to taste the VIP treatment that goes with the first family entourage. Kim was humble enough to attend to my injury in his hotel suite on the 6th floor of Intercontinental London overlooking St. James Park. For a moment there, I forgot my pain as Kim attended to my ankle only a few metres from the presidential suite. As I soaked in the experience, a presidential security detail passed by and confused me for an elite runner. I obliged and played along assuring him Mo Farah will be no match-up to my V8 engine ready to burn the London streets. He was so excited and requested for a selfy, thank God his radio came to my rescue and he had to rush out as “Kamwana” had just checked in. Fast-forward to D-day, and here I was brave enough to gather at the start assembly area despite my intermittent ankle pain. Except for the pain and low confidence, it promised to be a perfect day for running. Somehow, I found myself in front of the pack behind the elite runners and I immediately regretted my ambitious sub 3.05hrs entry target. The atmosphere around this area was pregnant with intimidation and I had never felt out of place like that. With Geoffrey Mutai (fastest man over the marathon distance), Wilson Kipsang (world record holder), Stephen Kiprotich (reigning Olympic and world champion), Tsegaye Kabede (defending champion), Mo Farah (double Olympic and world champion over 5&10K), and King Haile himself as the pacesetter, this was arguably the most competitive field ever assembled in men’s marathon history. And even for the elite runners, the level of anxiety and fear in the air was palpable. Some will prefer a more glamorous place, but I had my brush with greatness standing behind Haile Gebrselassie in line for a potty in the warm-up area. Come to think of it, only in marathons can this happen, a rare chance for everyday amateur athlete to take the field with the best in their sport. It was then that I appreciated what a privilege it was to compete among such peerless world-beaters. The ovations for the top elite runners 5 minutes before the gun were electric with Mo stealing the show and off we went. Running blind on what to expect with my left ankle, I decided to cut the chase and go for a sub 1hr 30min semi marathon and later see what happens, I feat that I comfortably accomplished leaving the 2.59 pacesetter on my trails. After 21km, I found my rhythm and it suddenly promised to be my best race ever despite the odds. That is until Km 34 when suddenly my ankle gave in and the wheels started coming off. It would be an understatement to say that the final 8km felt like the longest and most painful run I ever did. As the 2.59 pacesetter whizzed by at Km 37, I felt as if I was on a reverse gear and had literally exhausted all the mental mantras in the book to keep me going. There was nothing left in the tank as I hit Parliament Street with about 2km to go and I was ready to throw in the towel and accept the fate of walking the last 2km.Then I remembered there was a mouth-watering clash between Liverpool and Man city, a potential title decider, going down at 1.30pm. Being a Liverpool die-hard, I was not about to miss this match and as I made one last push, I realized the cheering crowd was growing louder and Buckingham palace was slowly rising in the horizon. That is the moment I knew I was going to make it. It all comes down to this final moment, with all the preparations; you can finally see the finish line. Engulfed in wild cheers from the crowd, there is sudden rush of adrenaline as I sprint up the Mall to cross the finish line in an official time of 3hrs 12min 25sec. To reach the finish line is always an emotional new experience regardless of how many times you have raced before. With a bit of disappointment, I smile to the cameras as a pretty lady puts a medal over my neck. But then again, there is a sense of achievement as I collect my goody-bag knowing there is nothing I could have done differently in my preparations. I quickly head to the nearest pub for the game with a sense of satisfaction that I had given it my all and that’s what counts. Liverpool is 2 goals up as I enter a lively pub with a group of young mates (a new vocabulary I picked up in London). All are in red tops and I know I am in good company. One asks me if I just finished 42km, and I proudly show them my medal and add “don’t forget the 200m, its 42.2km mate!” Everyone bursts into laughter as it is made clear that drinks are in the house for me. 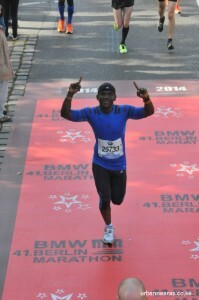 On the flight back home, I reflect on my experience of running 3 marathon majors in the last six months. It then dawns on me that it’s not crossing the finish line but rather the journey in preparing for each race that is magical. Here I come………..Berlin! Finally, I get my ticket to Boston crossing the tape in Chicago in 3hrs 6min. It was a perfect day for running and what an awesome crowd! One year ago I ran my first marathon in Lewa in 3hrs 41min which was a very painful experience; I promised myself I would never run a marathon again. Then I met the Swaras and running became a lifestyle with unlimited possibilities. As others look forward to the golf course over the weekend, I am always excited about the new trails that the Swaras keep unleashing. Thanks Swaras for everything, couldn’t have done this without your support. Chairman, I owe you big time, no doubt the Flourspar run did the magic for me. Good luck to everyone doing Stanchart Nairobi marathon this year, and I can’t believe I will be missing in action in the Naivasha relay! The Big Apple beckons.